Overall, we ended 2018 with most of the Canadian economy on a solid footing. And we start 2019 with more confidence that financial system vulnerabilities have stopped building and, in some respects, are improving. 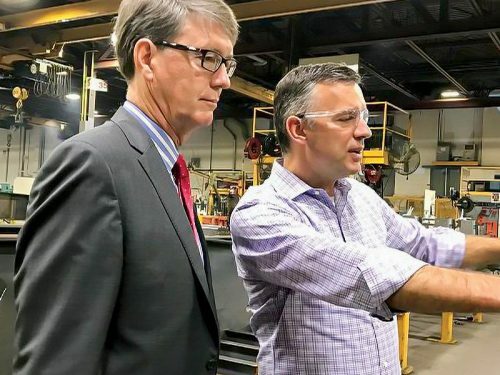 The Canadian economy expanded at a solid pace through most of 2018. In this context, the Bank continued to reduce the amount of monetary stimulus, raising its policy rate three times. Meanwhile, the Bank and its partners explored the policy and economic implications of new technologies at the 3rd annual Global Forum on Productivity in June. The Bank continued to pursue new and innovative ways to engage with various stakeholder groups, including the media, financial market participants and the public at large. 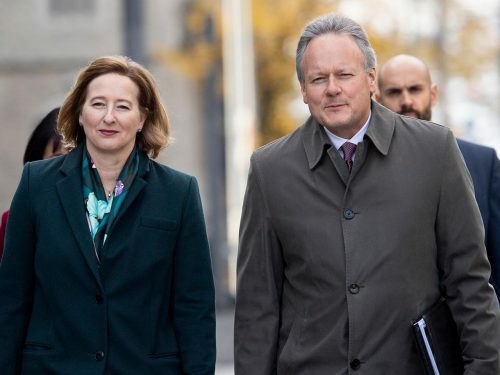 A review of some key numbers related to the Bank of Canada’s work in 2018. The Canadian financial system remained resilient in 2018. Its capacity to withstand adverse shocks was further enhanced by new mortgage finance policies and the continued implementation of other regulatory reforms. 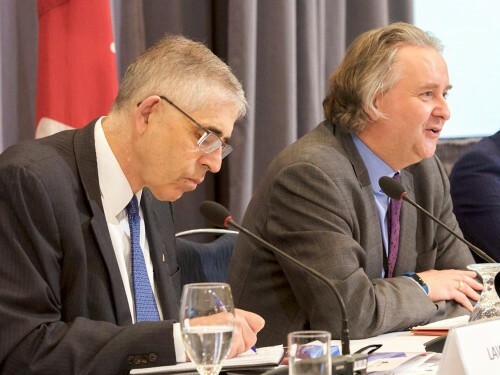 Consistent with the objectives of the government’s debt-management strategy for 2018–19, debt activities focused on refinancing government debt coming to maturity, raising stable and low-cost funding for government programs and services, and maintaining a liquid and well-functioning market for Government of Canada securities. The Bank continued to provide Canadians with secure bank notes while monitoring digital forms of payment and what the future of cash could look like. 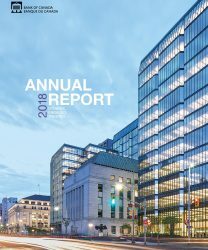 2018 was the first full year employees were back at the Bank’s renewed head office building on Wellington Street. The renovated space offers a modern, connected workplace with technologies and shared spaces that encourage dialogue, creativity and experimentation. Throughout the year, Bank representatives continued to take a proactive approach to building and reinforcing relationships with their partners from around the world. The Bank of Canada Act provides the legal authority and framework for governance of the Bank. The Bank maintains a strong risk management culture and implements an enterprise risk management framework that promotes consistent management of strategic, operational and financial risks. 2018 was the last year of the Bank’s 2016-18 medium-term plan. Over the course of this period, the Bank met its financial commitment, and the nature of its actual expenditures was in line with expectations.